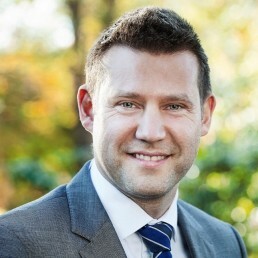 CFA, Due Diligence Manager – Thomas joined IWC in November 2013. As a Due Diligence Manager, Thomas assesses timberland investment managers and evaluates selected fund investment opportunities. Furthermore, he is responsible for the financial analysis of the selected investment opportunities and for assessing the financial models and assumptions behind the managers’ underwriting criteria. Thomas holds an MSc in Finance and Accounting from Copenhagen Business School and is a CFA charterholder. Before joining IWC, Thomas spent a year at Nordea Life and Pension and more than five years at FSP Pension (now AP Pension) working with financial analysis, financial modeling and performance evaluation.